(16718, Muriel Wright Collection, OHS). A lawyer, Elias Cornelius Boudinot was born on August 1, 1835, in New Echota, Cherokee Nation, East, in present Gordon County, Georgia, to tribal spokesperson Elias Boudinot and Harriet Ruggles Gold, his white wife. Four years later the elder Boudinot was assassinated at Park Hill, Cherokee Nation, Indian Territory (I.T.) because he had signed the Treaty of New Echota (1835), which called for the removal of the Cherokees to I.T. The Boudinot children were then sent to New England to be reared by the Gold family. Returning to the West in his late teens, Elias C. Boudinot studied law, edited a newspaper, became a civic leader, and engaged in Democratic Party politics in Fayetteville, Arkansas. He eventually served as the Arkansas Democratic Central Committee chair and edited the Little Rock True Democrat newspaper. When Arkansas seceded from the Union in 1861, Boudinot was secretary of the Arkansas secession convention, and he later joined the Cherokee Confederate regiment raised by his uncle, Stand Watie. Boudinot rose to the rank of lieutenant colonel before being elected as Cherokee delegate to the Confederate Congress, and he made a reputation for himself as an Indian spokesperson. After the Civil War he participated in Cherokee negotiations with the federal government. Although the Confederate faction failed to realize their demands in the new Cherokee treaty (one of the Reconstruction Treaties of 1866), through their reunification with the pro-Union tribal members Boudinot gained an appointment to the Cherokee delegation in Washington. In 1869 the tobacco factory that Boudinot and Watie owned in the Cherokee Nation was confiscated by federal authorities for failure to pay excise tax. Boudinot maintained that the 1868 tax law violated treaty agreements made in 1866. However, the U.S. Supreme Court ruled against him, fostering his opinion that Indians should become citizens of the United States in order to be protected by the Constitution. He also argued that Indian land should be held by individual title rather than by tribal ownership. He furthermore called for I.T. to be made an official territory of the United States and helped write proposed legislation naming the new territory "Oklahoma." At the same time, he worked with railroads operating in I.T., consequently founding the town of Vinita where the Missouri, Kansas and Texas Railway and the Atlantic and Pacific Railroad (later the St. Louis and San Francisco Railway) lines intersected. In 1879 his letter to the Chicago Times stating that the unoccupied land in the heart of I.T. should be considered public domain open to homesteaders precipitated the Boomer Movement. 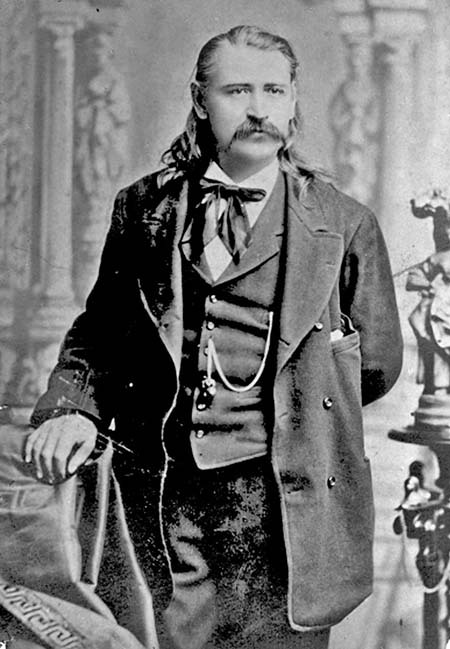 Throughout the 1870s and 1880s Boudinot lectured on Indian policy, lobbied government officials, engaged in newspaper work, and practiced law while also enjoying notable social popularity. Despite significant support, he failed to be named commissioner of Indian affairs in 1885. He then married Clara Minear in Washington, D.C., and they moved to Fort Smith, Arkansas. He established a law office and operated a ranch in the nearby Cherokee Nation. He died in Fort Smith on September 27, 1890, after a short illness with dysentery. Although well known and befriended by many, including influential white politicians and businessmen/entrepreneurs, he also engendered many detractors. His activities drew criticism from those who considered his efforts to facilitate American Indian assimilation into white society a betrayal of Indian interests and rights. Nonetheless, he played a conspicuous, if not always remembered or appreciated, role in Cherokee and Oklahoma history. "Elias Cornelius Boudinot," Vertical File, Research Division, Oklahoma Historical Society, Oklahoma City. Thomas Burnell Colbert, "Prophet of Progress: The Life and Times of Elias Cornelius Boudinot" (Ph.D. diss., Oklahoma State University, 1982). Thomas Burnell Colbert, "Visionary or Rogue? : The Life and Legacy of Elias Cornelius Boudinot," The Chronicles of Oklahoma 65 (Fall 1987). Lois Elizabeth Forde, "Elias Cornelius Boudinot" (Ph.D. diss., Columbia University, 1951). John Hallum and John D. Adams, Elias Cornelius Boudinot: Born August 1, 1835; Died September 27, 1890 (Chicago: Rand McNally, 1890). Thomas Burnell Colbert, "Boudinot, Elias Cornelius," The Encyclopedia of Oklahoma History and Culture, https://www.okhistory.org/publications/enc/entry.php?entry=BO026.